Are studies created or discovered? There is no such word as a blunder in blitz. The last few years have seen a couple of Canberra schools take an end of year chess tour to the ChessKids National Schools Finals and the Australian Schools Teams Championship (ASTC). This year Curtin Primary School had teams in the Primary and Primary Girls Finals, with the Curtin Girls Team continuing on to the ASTC Finals in Perth. In the ChessKids event the Curtin Girls finished runner up behind Doncaster Gardens Primary. Emma Dunstone and Lucy Sugerman both scored 5/7 for Curtin, with Emma picking up the Bronze medal on tie break. In the Primary Open Michael Kethro, representing the Curtin Open team picked up the Gold for best individual performance with 6.5/7, beating out Ari Dale on tie break. Full results from all the sections are at the ChessKids website. A while ago I saw part of a discussion on using computers to compose problems and studies. While I didn't read the whole discussion, and indeed I've now forgotten where I read it, there was one point I found interesting. It was the suggestion that studies aren't composed, as all possible chess positions already exist. Instead all that happens is that the correct evaluation of an existing position is found. While this seems to have an undeniable logic about it, it of course doesn't explain why some problems are more highly regarded than others. This is because while all positions may exists, some positions are more interesting than others. 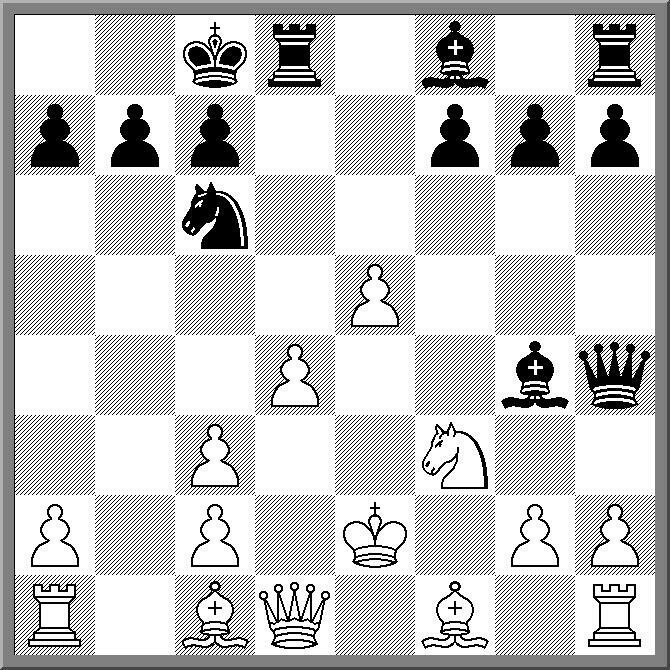 As an example compare the following study by Grigoriev against the well known position of wKe6,wPe5,bKe8. 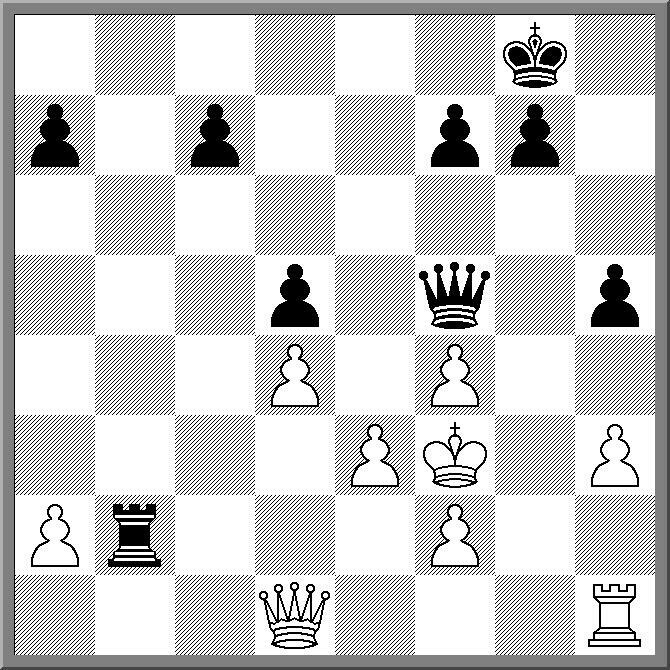 While both have the same evaluation (White wins), the Grigoriev position poses a greater challenge. The 2010 ACT Junior Chess League Transfer tournament was won by brother and sister team of Megan and Allen Setiabudi. They scored an impressive 10/11 to finish a point ahead of Harry Press/James Ashton, and Joshua Bishop/Matthew Bennett. I teamed up with O2C Doeberl Cup organiser Charles Bishop to form the only all Adult team in the event, and we managed to finish in 4th place on 8/11. Funnily enough we each had a child in the teams that finished just ahead of us, so that is an achievement of one sort. The event was a 'fun' event and was played in good spirit. We were the victims of a little bit of Transfer skulduggery when in one game Charles's opponent helpfully reminded him he hadn't pressed his clock. When Charles pressed his clock the same opponent then helpfully pointed out he had left his king in check and claimed the game. "Just part of transfer" was my comment to Charles after the game. Once again it was a popular event with 32 teams (64 players) taking part, including a number of new teams. At the end of the event the participants were rewarded with a big pizza dinner and I suspect their may be a number of kids looking to take a day off school tomorrow as a result! 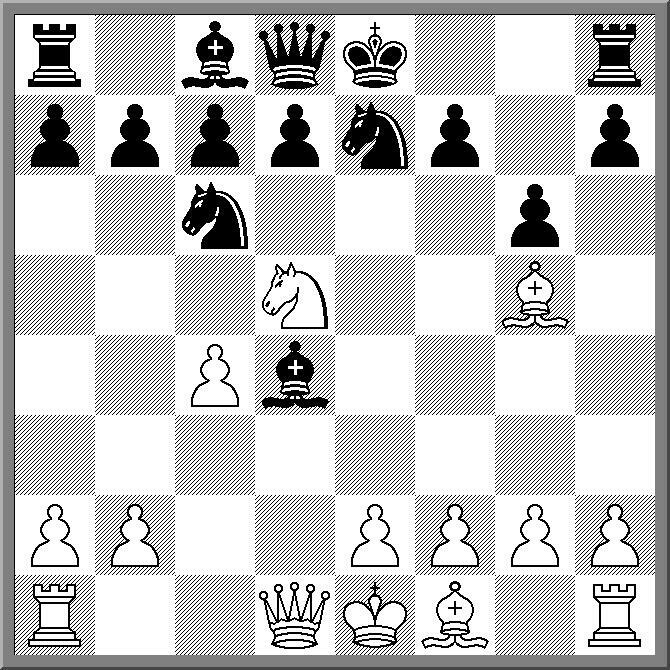 1.e4 e5 2.Nf3 Nc6 3.Bc4 Nf6 4.Nc3?! 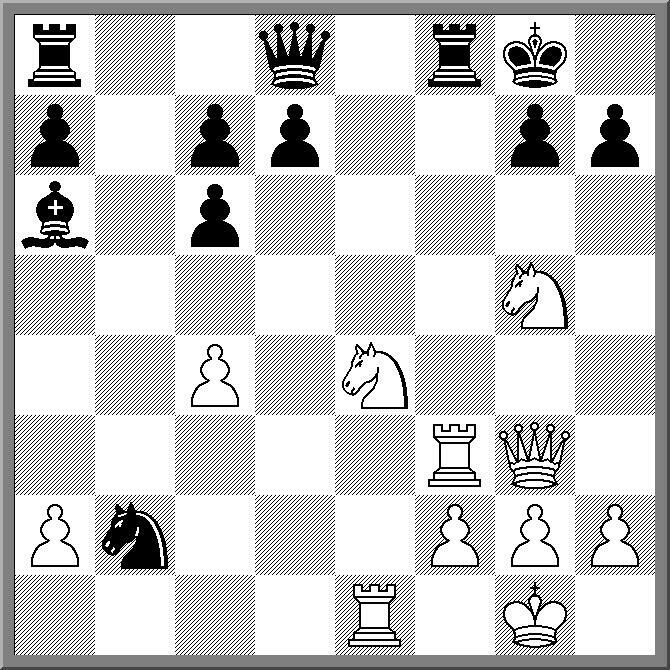 Nxe4 is one of the openings that on one hand is considered dubious (for White) and yet I have a very poor score against. I've lost games in Olympiads, drawn games from advantageous positions, and I was once even mated in under 10 moves! So when I do win from this position I now feel quite pleased. The above quote appeared in the November issue of the British Chess Magazine and was part of an interview that Anatoly Karpov had given concerning the 2010 FIDE elections. It is part of a larger explanation about why he failed in his election bid, and is part of the belief this loss was due to a betrayal by groups of countries. Of course the problem with the above quote is that most of it isn't true. What Kaprov said concerning the New Zealand Chess Federation was refuted in the same issue of BCM. NZCF President Paul Spiller pointed out a number of errors in the statement, including the impossibility of Karpov speaking to him 2 days before the vote, simply because he was not in Khanty-Mansiysk . As for the claims concerning the Papua New Guinea Chess Federation, they are also not true. While the Papua New Guinea Chess Federation held the proxy for New Zealand, our delegate voted as per the instructions of the NZCF, and significantly, these instructions had not been changed at any point before the Congress (as pointed out by Paul Spiller in BCM). He also stated that the PNGCF 'supported the other side', which is also not true. Although the FIDE elections were conducted as a secret ballot, and Karpov would have absolutely no idea who voted for who, unless he was told by the delegate/federation concerned, by simply checking with the PNGCF, we would have happily told him that we in fact abstained, and voted for neither candidate. This fact was known to members of his campaign team prior to the election, and I certainly made no secret of it after the ballot either. Ideally in this post I would be able to quote a Karpov apology after I had explained to him the facts of the matter, however he is a hard man to catch. The closest I got was via some helpful ex-members of his campaign team. Unfortunately they have found it just as difficult to contact him over this matter and so I have no idea if he even knows what he said was untrue. Ironically later in the interview he said "It is important that people know the truth about what happened." As it turns out, the interview probably wasn't that helpful for any future campaign (and not just for the untrue things said), but for Karpov it ultimately may not matter. The word from inside the camp is that Karpov is done with FIDE politics and won't be making a run in 2014. The annual ACT Junior Chess League Transfer tournament is being held this Sunday (28th November) at Campbell High School, Trealor Cres, Ainslie, ACT. Registrations start at 12:45 and entry is $10 per player. Although Transfer is a partnership game, don't worry if you don't have a partner as there will be plenty of teams put together on the spot. 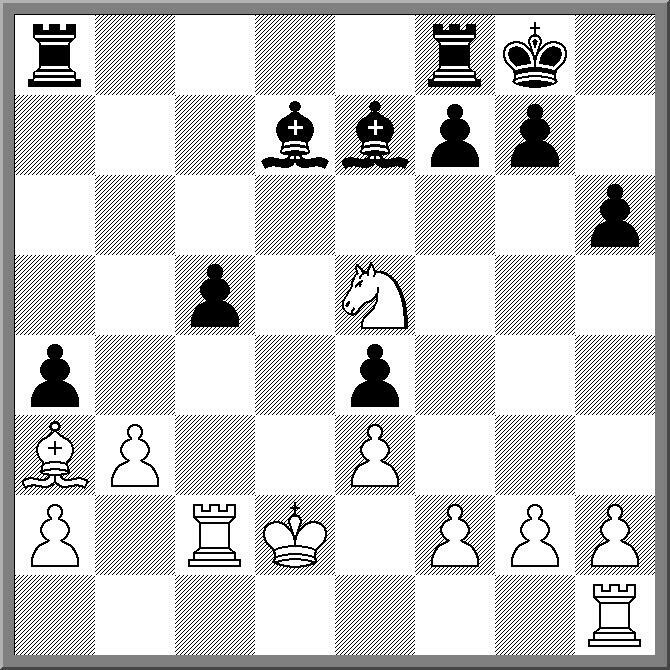 If you need a refresher on the rules, the this post on my Chess Rules blog should bring you up to speed. This is always a popular event, and most importantly, is not restricted to juniors. Any one can play, and there are usually a large number of adults who take part. In fact last year I suggested that this tournament is a de-facto Australian Transfer Championship, and as no one challenged this claim, I am happy to make it again this year! So as they say, "come on, if you're hard enough". While it is still 5 months away, the 2011 O2C Doeberl Cup is now accepting entries. The website for next years tournament is up and running with all the details of the 4 main tournaments (plus the lightning event). The Premier is once again 9 round swiss with title norm opportunities, and a prize pool of $12,350. The Major (Under 2000) has a first prize of $1500 while the Minor (Under 1600) has a first prize of $750. About 3 years ago I posted an article on this blog about the potential development of a real chess playing robot. In the article I suggested it might become a reality in 3 to 5 years time. This week there was the news of Vladimir Kramnik playing blitz against a robot, so it looks like it is getting closer. However I say 'closer', as opposed to 'here', as the setup for the Kramnik game fell short of what I had envisaged. Based on the news report and pictures, it looks like the game was played on a DGT board against a robot arm. I'm guessing the board transmitted the moves to a computer running a chess program, and the computer then told the robotic arm controller the actions to take in reply. Visually impressive, but on one level, fairly simple (not saying I could have built such a system btw). What I would like to see is (a) a system that can play on any kind of board using vision processing to determine the moves (b) a robotic arm to play the moves, press the clock, and set up the pieces for the next game and (c) be mobile so it isn't restricted to one specific location in a tournament. And for extra credit, a voice recognition and response system that allows the program to analyse at the end of the game. Not much to ask for really, although my meagre attempts at part (a) haven't had good results so far. In the Sunday morning round of the Vikings Weekender there was an interesting arrangement of players in the middle boards. Three ACT juniors, who had all started their chess careers at the host club, were seated at adjacent boards. While such an arrangement can sometimes cause difficulty for the Director of Play (certainly in less formal tournaments), the only trouble they caused was for their opponents. Each game was heavy on tactics, and each game finished reasonably quickly. The 2010 Vikings Weekender turned into a real battle, with the top 4 seeds fighting to catch up with day 1 leaders Andrey Bliznyuk and Blair Mandla. In the first round of the day Bliznyuk defeated Mandla to take the sole lead with 5/5. Round 6 saw Bliznyuk maintain his lead with a win over Anton Smirnov. The win also guaranteed Bliznyuk a share of first place as he was now a full point ahead of the the chasing pack. Going into the last round Bliznyuk faced Endre Ambrus, who despite winning all his games up until this point, had also taken 2 half point byes, putting him on 5/6. Ambrus continued his winning run, defeating Bliznyuk with a succession of nice tactics, leaving them sharing first on 6/7. Blair Mandla had a chance to catch them but could only draw with Vladimir Smirnov to finish half a point back. Also tying for third were Junta Ikeda who scored 3/3 on the second day, and Alan Setiabudi, who went through the event undefeated. Full results and prize winners are available at the Vikings Chess Club webpage. A healthy field of 55 players fronted up fir the 2010 Vikings Weekender in Canberra. There were a couple of last minute withdrawals amongst the older junior players (due to the pressures of schoolwork) but it was a strong field nonetheless. For the first time the tournament added an extra Saturday round (4 today, 3 tomorrow) as the feeling was that 6 rounds wasn't enough to sort the field. However there were a number of players who took half point byes for the evening round, including a couple of the top seeds. As it turns out this was a smart move on their part as round 4 saw a number of significant upsets. After 4 rounds the only players on 4/4 are Blair Mandla and Andrey Bliznyuk. Bliznyuk defeated top seed Max Illingworth, while Mandla won over second seed Junta Ikeda. Tied for third are Vladimir Smirnov and Endre Ambrus (who both missed round 4) and Allen Setiabudi (who drew with Ikeda in round 3). A full crosstable of the event is available in the comments section. American GM and author Larry Evans passed away a few days ago. While not so well known to the latest generation of chess players, he was a notable figure as a play in the years after the Second World War, before achieving more fame as Bobby Fischer's collaborator (he wrote the intro's to 60 Memorable Games) and second. In later he years he also filled the job as the protector of Fischer's legacy, going so far as to keep fighting the battles Fischer left behind in retirement. As an author his best work was probably "New Ideas in Chess", first published in 1958. A manual on positional chess, it is a book that would help almost any player, regardless of strength. He was also a long time columnist for Chess Life, providing both tips to improving players, and his take on the world of chess politics. A full obituary appears on the Chessbase website. The following miniature was played at the Belconnen Chess Club this evening. Black lost a pawn due to the 'breaking a pin with check' trick, but tried to hang on by starting a kamikaze run with his king. It didn't survive long. 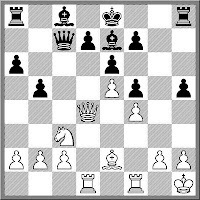 At the completion of the game White demonstrated one cute variation where the Black king makes it all the way to the end of the board before being checkmated by castling. I've included the variation on the notes. The title of this post comes from a comment on the Chessvibes site concerning the current World Blitz Championship. Certainly at the top level, you might see less blunders than your run of the mill blitz event, but of course the quote is referring to the fact that blitz is pretty much "anything goes". This hasn't stopped Carlsen and Aronian putting there stamp on the event, scoring 10/14 at the end of the first day. The other big talking point (at least amongst the chattering classes on Chessvibes) is the performance of Hikaru Nakamura. Having held the top spot on ICC in Blitz for a number of years he was considered one of the favourites, but a horrible 1/5 start left him in the middle of the field at the end of day 1. Results from this 3 day event can be found here. There is also live coverage of the games, but given the time limit 3m+2s, it is kind of hard to follow everything at once! The other day I was annotating a game for the upcoming issue of Australian Correspondence Chess Quarterly. 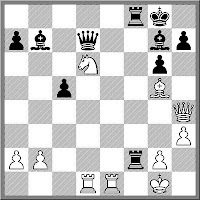 The game started with Botvinnik Gambit in the Semi-Slav, and given how well known (and often played) this line is, it was hardly surprising I found the first 15 moves pretty familiar (especially as it involves a queen sac by White). In fact I even played the black side of the position back in 1995, and suffered the fate of most players with the black pieces (ie I lost). Doing a bit of digging to see how far back this specific line goes I was surprised that it was first played in 1959. Previously I had been aware of Hollis v Baumbach 1976 (via Jon Speelman's "Best Chess Games 1970-80"), and indeed Speelman himself believed the queen sac was a creation of Hollis', but it seems that it had been played at least 3 times previously. 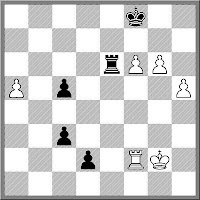 Here is the original game, which actually ends in a win for Black. Since then however the scales are firmly tipped in favour of White, including the upcoming game in ACCQ. I've commented on the unfairness of simul coverage previously, where no matter how well the simul giver plays, it is the games they lose that get published (unless you are Alekhine of course). So to balance the equation here is a quick win by GM Ian Rogers from the simul against the leading ACT Juniors. However the identity of Ian's opponent is disguised as the traditional A.N. Other, mainly because he was the +1 board at the simul. (ie he wasn't a junior but a later ring in). At the completion of the game there was a thought he may have resigned a little to early, but it turns out he was dropping material no matter how he played it. I've also added some pictures from yesterdays simul to my photo collection. Just click the My Chess Photos link on the left of this blog. The ACT Junior Chess League organisers quite a lot of chess activities for its members. Apart from tournaments and schools chess events, it runs a development program fro junior players. The culmination of this coaching program is the Grandmaster Coaching Weekend. This year GM Ian Rogers (along with FM Junta Ikeda and FM Endre Ambrus) took 3 groups of junior players and taught them a number of important (and interesting) ways of becoming stronger chess players. On the last afternoon of the weekend Ian then gave a simul, both to the kids in the GM groups as well as the other development squad students. The simul was over 33(+1) boards and kept Ian, and his students occupied for the good part of three and a half hours. While Ian received a stern test from quite a number of players, he showed his skill as player hasn't been diminished by retirement, scoring 33 wins and 1 loss. The loss was to Joshua Bishop, who is making a habit of picking up GM scalps in simuls, having defeated GM David Smerdon earlier this year. Book prizes for the simul also went to Wenlin Yin (who unfortunately missed a winning line in his game) and Harry Press (the final game to finish). The British teams competition, the 4NCL started the 2010/2011 season last weekend. I'm a keen watcher of this series, in part because a number of people I know take part in the competition. For example, the White Rose team is managed by my PNG team mate Rupert Jones, and they have got off to a good start over the first 2 rounds. After narrowly defeating the e2e4 team (which they slightly outrated), they scored a bigger victory (and a big upset) by winning 5.5-2.5 against Guildford A&DC, who outrated them by an average of 126 points across the 8 boards. So White Rose share joint first in their division and once again have good chances of qualifying for th European Club Championships again. Only a week to go before the third of the Canberra chess weekenders, the Vikings Weekender. While it has always been considered the smallest of the three (the O2C Doeberl Cup and the ANU Open being the other 2), the last few years have seen fields of 60+ take part, which isn't too shabby. As a result of the good numbers in the last couple of years (plus some extra sponsorship), there has been an increase in the prize fund. Already this years event is looking stronger as well, with 5 players (Illingworth, Ikeda, Smirnov, Ambrus and Brown) rated over 2100. Of course there will also be a number of up and coming Canberra players in the field (and not just juniors) so this may be the most wide open tournament for years. You can enter online here (register early and pay on the day, there is no late fee!) and see the tournament brochure here. The so called 'Sofia' or 'Corsica' rules concerning draw offers have become so widespread in top level tournaments that it is more of a surprise when they are not in effect (eg at the 2010 Olympiad). 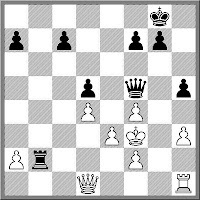 However one thing I have noticed is that the enforcement of the rules tend not to be black and white, with 'entertaining' repetitions, and shortish games late in a tournament tending to slip by. When I saw the results from the last couple of rounds of the Tal memorial (9 draws in 10 games), I figured that the organisers had had their pound of flesh and were showing some mercy to the players. Of course this wasn't the case, as most of the games were played to 'exhaustion' or in the case of the game below, ending with a creative perpetual. If you do take the time to play through this game, the fun stuff starts on move 21, although the computer evaluation quickly hits zero, as the best lines are indeed drawing ones. Details of the 2010 Womens World Championship have been announced, including the pairings for the tournament. The event is a 64 player knockout, running from the 2nd to the 25th of December. Arianne Caoili is the representative from Oceania (after winning last years Oceania Zonal) but looks to have a tough time of, being seeded 55th and therefore getting a tough first (and subsequent) round pairing. If you wish to follow this event, then here is the official website. Looking for an unsound 'hack' line against the Dutch. 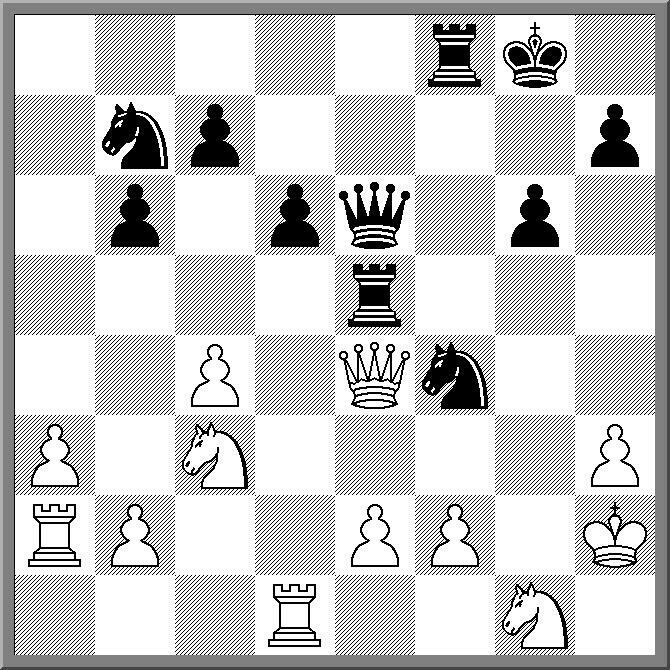 The Staunton Gambit with 4.g4 might just be the thing. 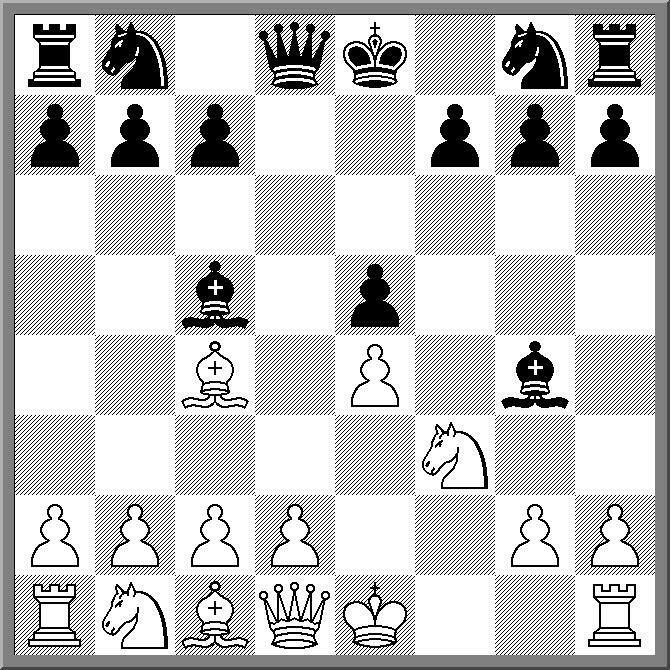 Based on the game given below, Black can quickly find him or herself in a pile of trouble, with White steaming through the centre. However, as I said in the first sentence, it seems to be unsound. 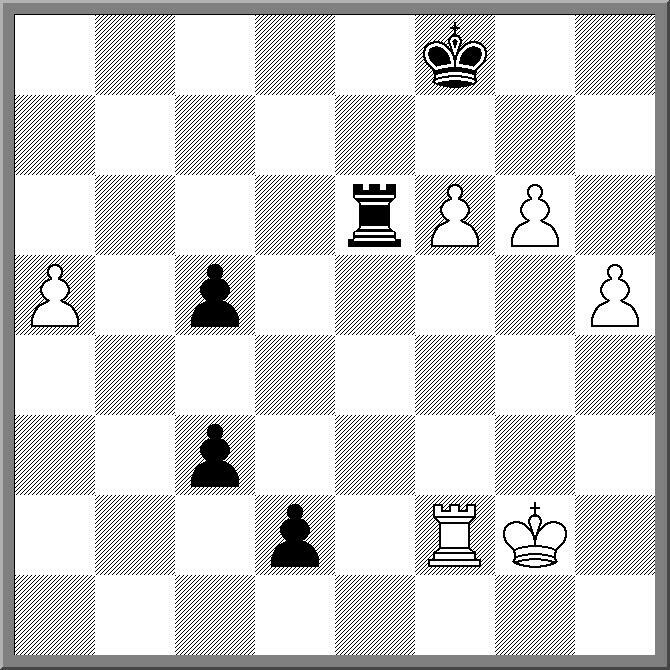 Black scores quite well against it in practice (with 4. 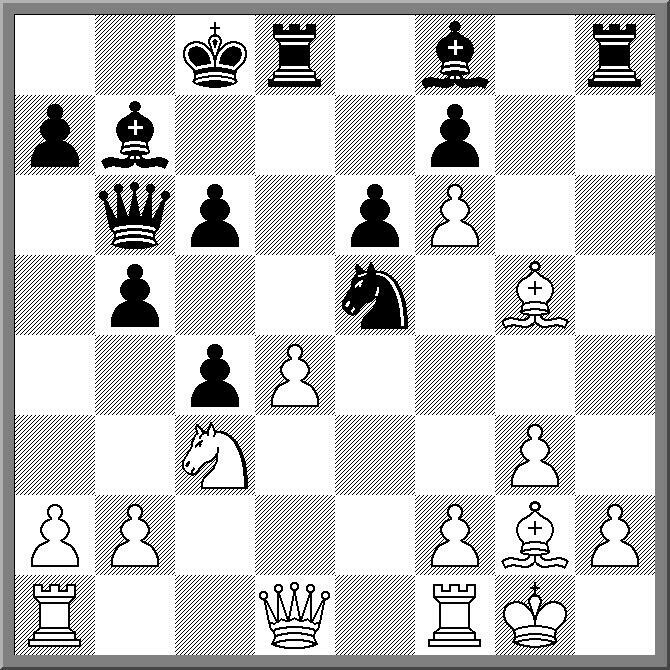 ... h6 being the recommended move), although thus hasn't GM's like Bronstein or Conquest from wheeling it out. So if you are looking to play exciting chess, give it a go, but if winning is your thing, then it might be better to pass. The 2010 Fisher's Ghost weekender attracted a good field of 46 players. A number of players traveled up from Canberra (only 2 hours on the freeway), and by all reports did quite well. Outright first was taken by IM George Xie (6.5/7) with Max Illingworth, Vladimir Smirnov, and Angelito Camer a point back in second place. I'm not sure what the minor placings were, but Nick Beare picked up a rating prize, while Glenn Ingham had the pleasure of winning the following game against a much higher rated opponent. The caravan moves on, with the latest stop the Tal Memorial in Moscow. 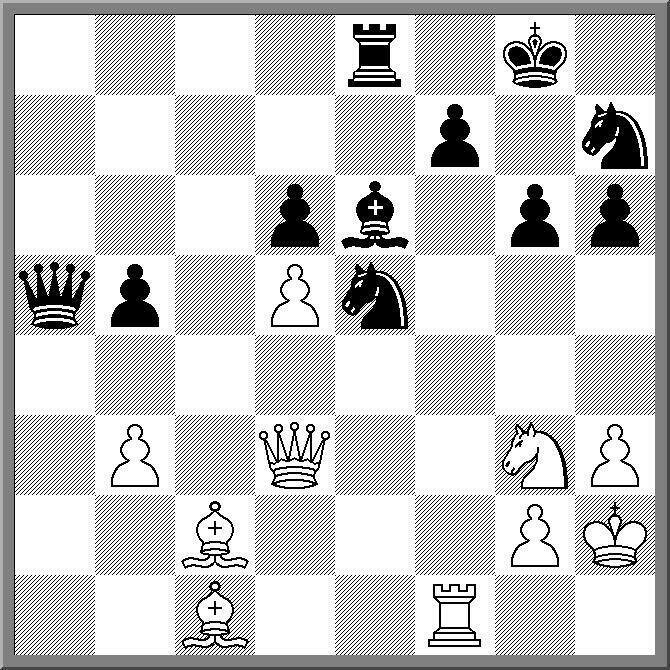 However it is an almost complete change of cast, with only Kramnik backing up from Nanjing. Nonetheless it is once again an incredibly strong event. Unlike the smaller double round robins where players tend to be a little conservative, this 10 player single round robin got of to a fighting start with 4 decisive games in the first round. The second round was a little quieter (only 2 wins), with 5 players sharing first place. There is live coverage starting at 11pm Canberra time, but as the official website is in Russian, a direct link to the games is here. One of the criticisms of faster tournament time limits is that it doesn't allow players to play complex endings. While this is certainly true, I always felt it did reward players who knew their endgame technique. For example, a lot of Australian weekend events are played with a G60m+10s time limit, and a player who knew how to play "technical" endings could really clean up. Today I saw a number of endings that fell into the category of "technical endings". They were all rook and pawn endings, they were all against the same player, they were all better for the players concerned, and the net score was 0.5/3. Granted the defending player made the task as difficult as possible, but he should have dropped at least 2.5 points. The most amusing example is shown in the diagram. 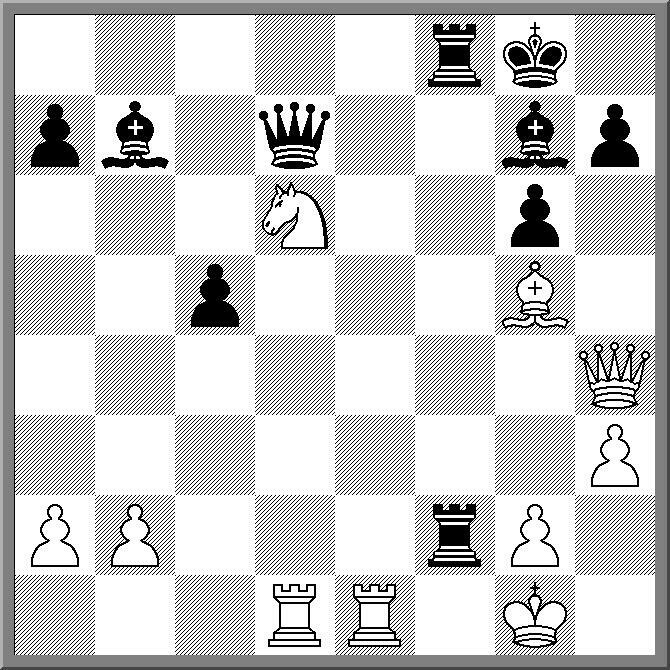 It is White's move and moving the rook along the rank (except to a7 or h7) is enough to win. However the game went 1.Kh5? Rh1+ 2.Kg6?? (not seeing the danger) 2. ... Rxh6+ Draw agreed. 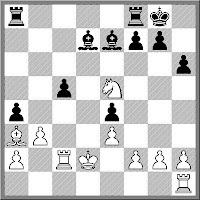 Interestingly White had demonstrated good technique to get to this position, but fell at the final hurdle. Via Chessbase comes the news that Magnus Carlsen has decided to drop out of the current World Championship Cycle. In an open letter to FIDE Carlsen lists a number of objections to the current world championship format, some to do with the current cycle, but some of a more 'historical' nature. One of his major objections is that the reigning world champion gets a free ride to the championship match, and draws comparisons to the football World Cup, where the reigning champion has to qualify for the final like everyone else. His proposal (for the next cycle) is to have an 8-10 player tournament to decide the World Champion. It will be interesting to see what the other leading players make of all this. I suspect he won't find much support (either with the top players to the general public), as historically chess has been a sport where you have to beat the champion to become the champion. That is not to say the current system is perfect, but the overall framework (Candidate matches with a matchplay final) is generally accepted as a good system, it is just the mechanics that need improvement. I'm hardly a 'power user' of Chessbase, so there are a lot of features that it has that I have yet to discover. In fact I'm still using Chessbase Light, although I've at least upgraded to the premium version. But every now and then I poke around looking for a new feature that might be useful. For the Olympiad I discovered "Prepare against White/Black" under the Players tab, although in the end it did me little good. I might have been better to use the "Dossier" function under the same section, as this provides slightly more useful information. Testing this feature on my own I games I discovered a couple of interesting things.Firstly Chessbase is missing a large set of my games, although this isn't a bad thing. Secondly there are a couple of openings I do really badly against, although what they are will remain unpublished for the moment. And thirdly there are a couple of players I have a horrible score against. Due to the incomplete record it actually understates how badly I've done against certain players. For example it says I am -3 against Ian Rout (over 5 games) when I'm pretty sure it would be about -10 over 15 games (including yet another loss last week!). I suspect this poor score against Ian also impacts on my poor score in certain openings, so to balance the ledger I'll show a game from an opening where I actually score well (75%! ), and coincidently, where I actually won against Mr Rout. From a 10s per move finish to a game played at the ANU Chess Club this evening. First question: What should the result be? Second question: Does it depend on whether it is whites move or blacks? The final of the Cape d'Agde tournament saw a remarkable showdown between Vasily Ivanchuk and Hikaru Nakamura. 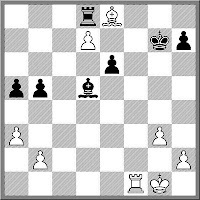 In the first game of their 2 game match, Ivanchuk decided to play the Kings Gambit, and managed to win after Nakamura declined to take the pawn. 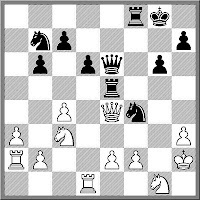 Then needing to win the second game, Nakamura decided to also play the Kings Gambit. 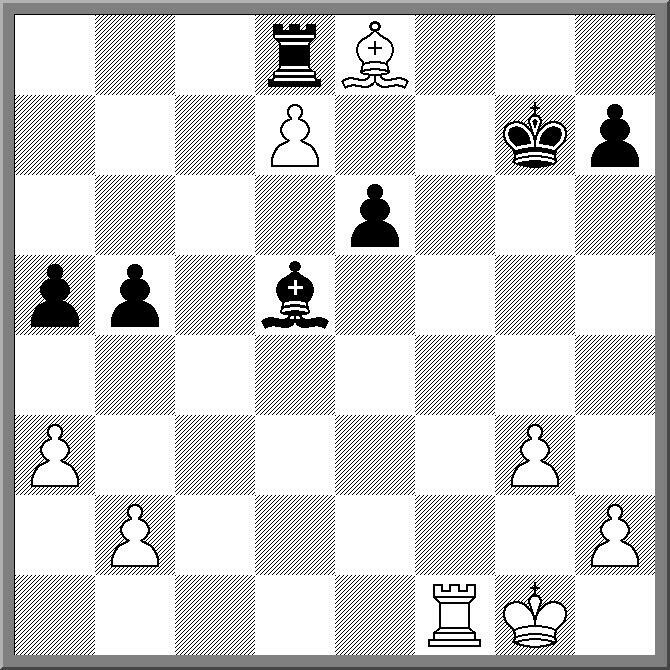 In this case Ivanchuk did take the pawn, and held on to draw the game, and win the match. 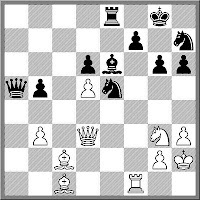 While I'll include the first game below, it is better to go an watch the video of the final at www.blip.tv, especially to see the body language of both players as their opponent s-l-o-w-l-y pushed the f pawn forward 2 squares! As I've mentioned on this blog previously, I've always thought that Emanuel Lasker was a vastly underrated figure in the court of public opinion. I would certainly have him in my top 5 of all time great chess players, and not just at number 5 either. I've heard various reasons for his lack of recognition, including the fact he established no school or style, and that he didn't write much (but neither did Capablanca). Now I'm not sure about the second reason, as I recently purchased a copy of "Lasker's Manual of Chess". According to the preface it was originally published in 1925, and is what I would term an 'old fashioned' chess text book, covering the entire chess spectrum, including how the pieces move, opening theory, how to play end games, and pretty much everything else in between. I suspect in those days the idea was to try and produce "The" chess book, rather than specialise. While the book is full of a number of interesting games (from Lasker and others) I've instead dug up what is possibly Lasker's last victory (at least in a published game). It is against Ossip Bernstein and was played in New York in 1940.